NEW DELIVERY! | Nan Tubre Writes . . .
OMG, We are so thrilled at what God can and will do for us! He provides greatly, comforts tenderly, and loves mightily! And we – we who are so unworthy – are the recipients of all of His greatness because He chose us. He has carved us in the palm of His hand and promises never to forget us. Yesterday, after a weekend filled with concern, worry, and many, many prayers, our family was blessed with a new baby girl! Her mama suddenly developed pre-eclampsia and when she called me Friday evening to let us know she was being admitted to the hospital, her little voice was shaking. Thank God, she had her mom with her. Very quickly, her family, as supportive as they all are, rallied around to love her through this uncertain time. The daddy, my husband’s son, stuck by her side through everything – except having to sleep in a chair, lol! He just wasn’t happy about that, but, you could say, he got over it. Anyway, you could see how nervous he was about his baby girl and her pending pre-mature arrival. His eyes were pools of tears and fear, concern mixed with pride, anxiety and worry for the love of his life. The joy! The celebrating! The thanksgiving! If love could be a color, the room was awash in it! Praise God, today Mother and Baby are doing exceptionally well! We believe it is a miracle. 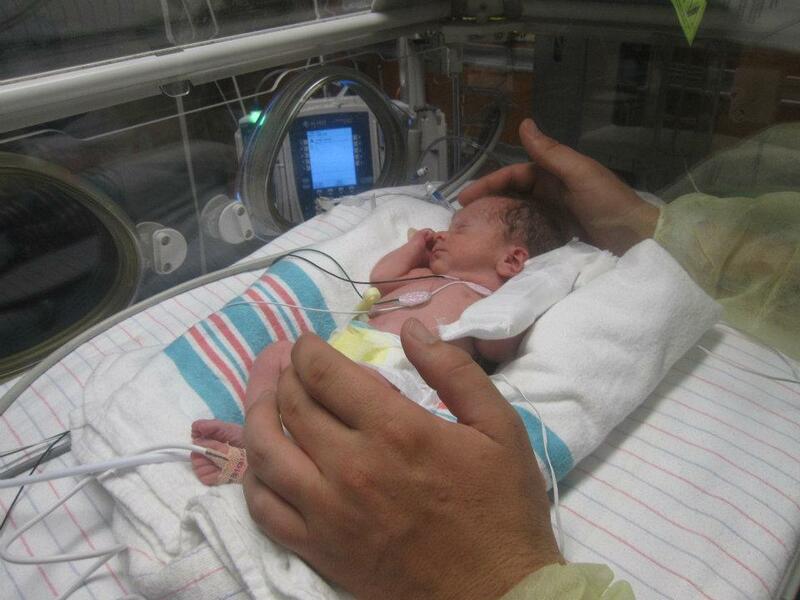 Our little pumpkin was born six weeks early, weighing in at 2lbs 11oz and measuring 14 1/2″ long. She has a head full of curly dark hair like her daddy and a miniature set of her mama’s feet. Her tiny hands are a perfect replica of her Momee’s. Simply put, she is perfect. We adore that little family. We give thanks to our God, the Almighty, the King of creation! When frightening things happen with our children (I speak from personal experience), it is a comfort to trust that God is in control and has a purpose for everything He permits to touch our lives.